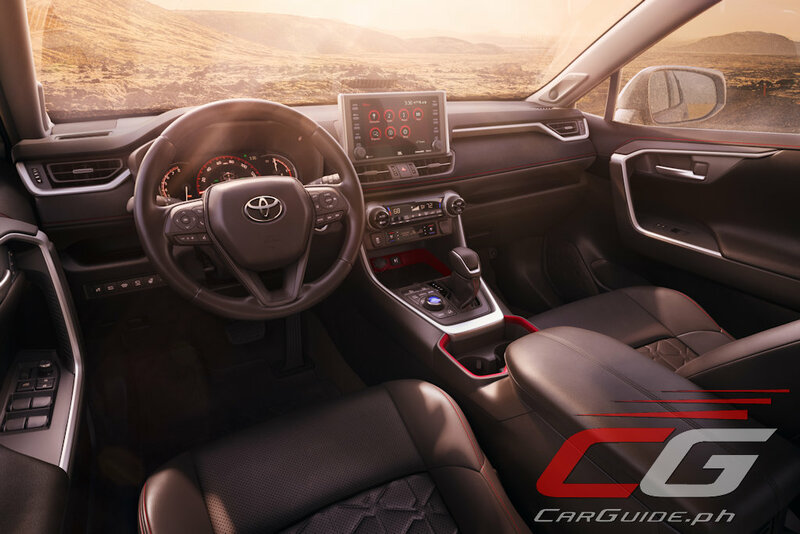 If you think the 2019 Toyota RAV4 lacks some pizzazz, don’t fear: it’s getting the TRD treatment. 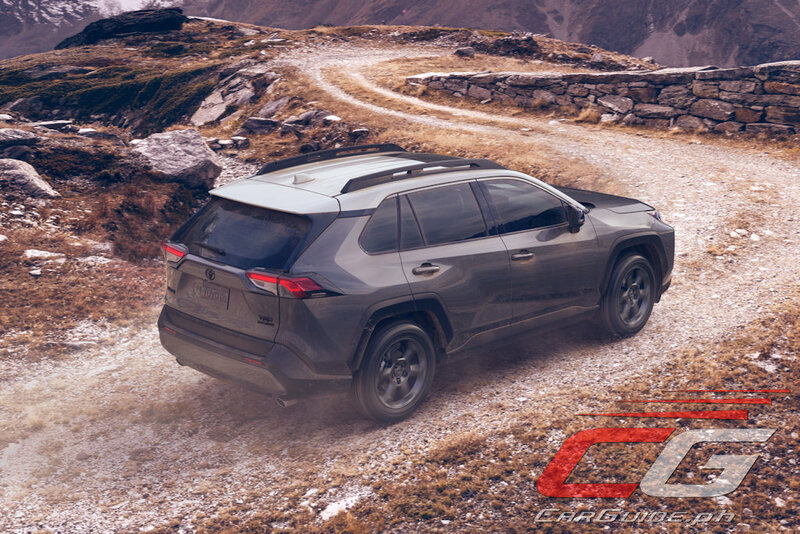 Shown at the Chicago Auto Show, the RAV4 TRD Off-Road takes cues from Toyota’s rich off-road racing history by combining trail-ready aesthetics with trail-ready performance. 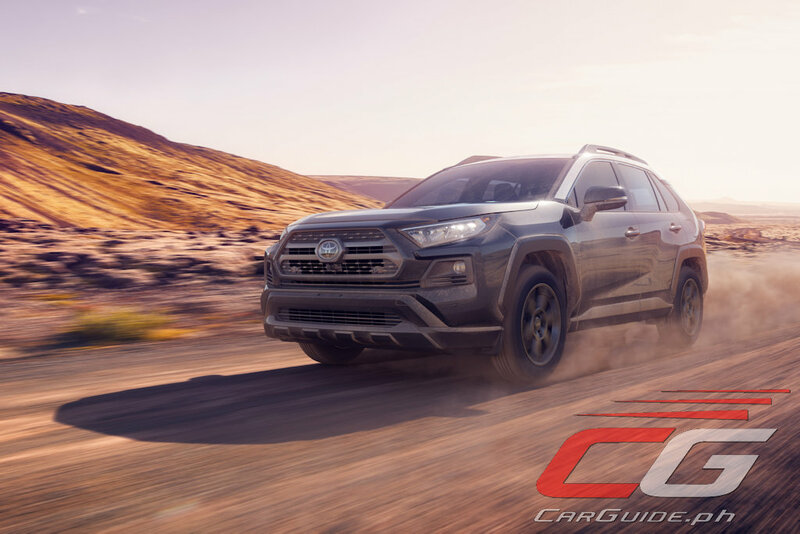 It shares the RAV4 Adventure’s (itself a more off-road ready variant for the US market) high-rise roof rails, large overfenders, fog light surrounds, and more aggressive bumpers while adding some TRD twists to the grille. 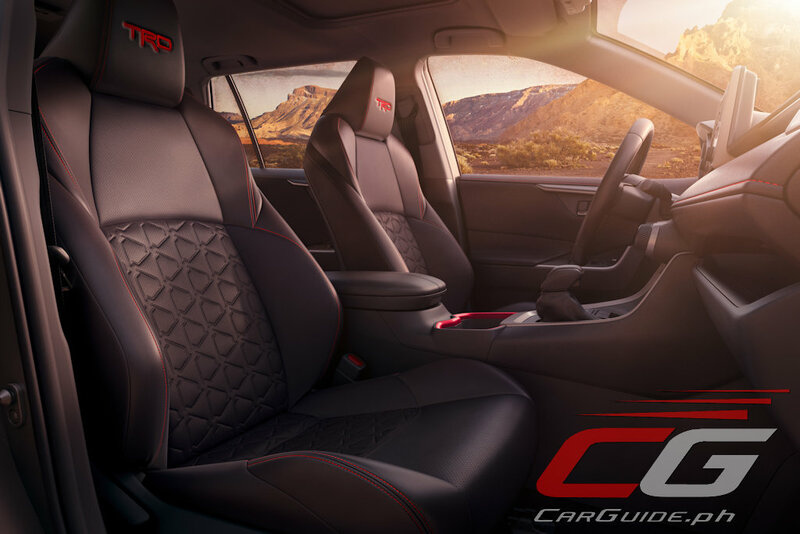 Inside, the changes are just as subtle and are limited to “TRD” labeling on the seats and headrests, and red trim on the doors and center console. 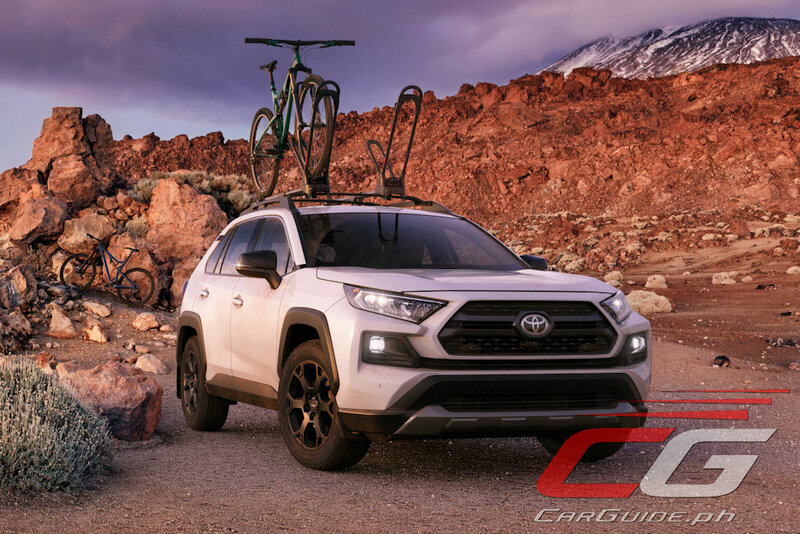 While it doesn’t have much to show for, Toyota says that the RAV4 TRD Off-Road is designed for high-speed trail riding and overlanding. To this end, it has a revised suspension that enhances body control and small-bump isolation be it on the trails or rough city streets. The unique red coil springs are tuned for better off-roading, while the twin-tube shocks are re-valved and feature new internal rebound springs to improve rebound control. New bump stops maximizes the spring’s compression, improving body control over larger bumps and dips. 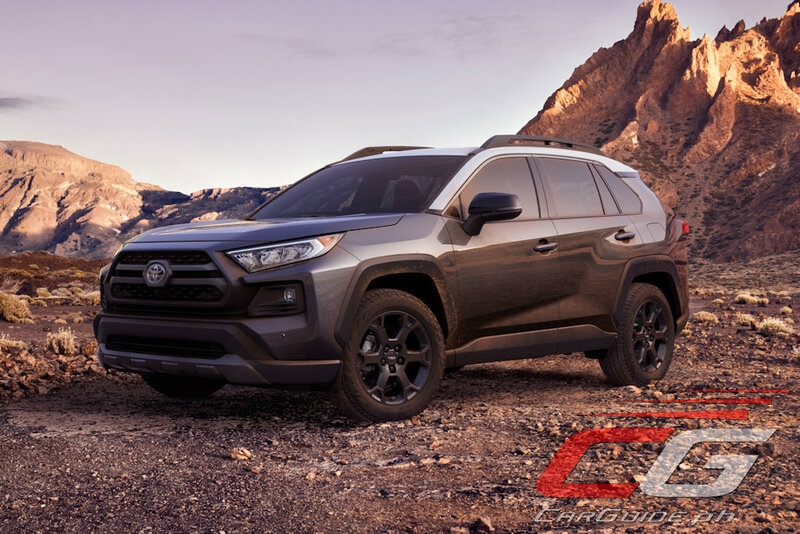 Capping off the changes, the RAV4 TRD Off-Road rolls on lighter and more rigid flow-formed 18x7-inch matte black alloy wheels with Falken Wildpeak A/T Trail all-terrain tires. These all-terrain tires have a unique tread pattern and compound developed to TRD technical requirements. A rugged square shoulder design helps protect against punctures, on or off road, and the tires are Severe Snow Rated with open shoulder grooving to shed debris, mud, and snow. Power still comes from the 203-horsepower 2.5-liter 4-cylinder paired with an eight-speed automatic transmission. 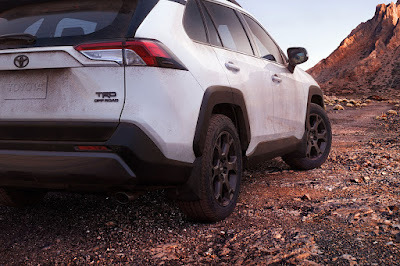 The RAV4 TRD Off-Road can send up to 50 percent of its power to the rear wheels and thanks to the torque vectoring system, even to the left and right wheels as needed.